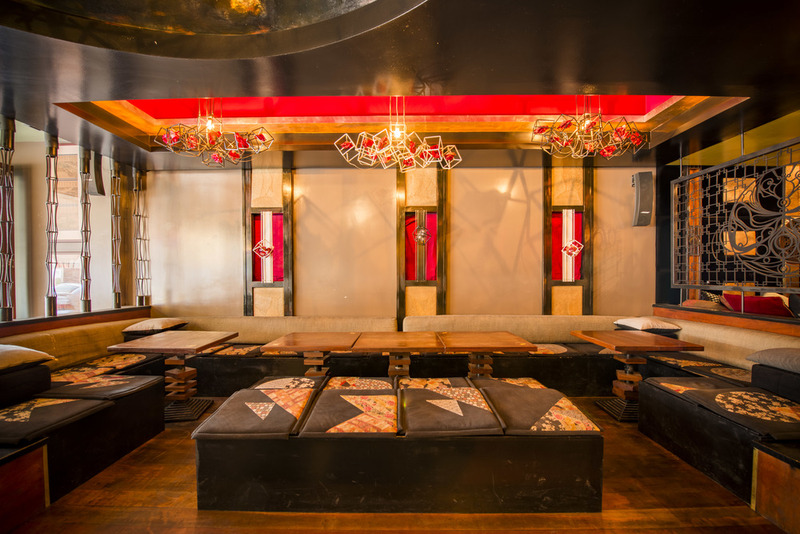 Lychee Lounge has some excellent spaces available for all inclinations. But there's one thing they all have in common: Party. 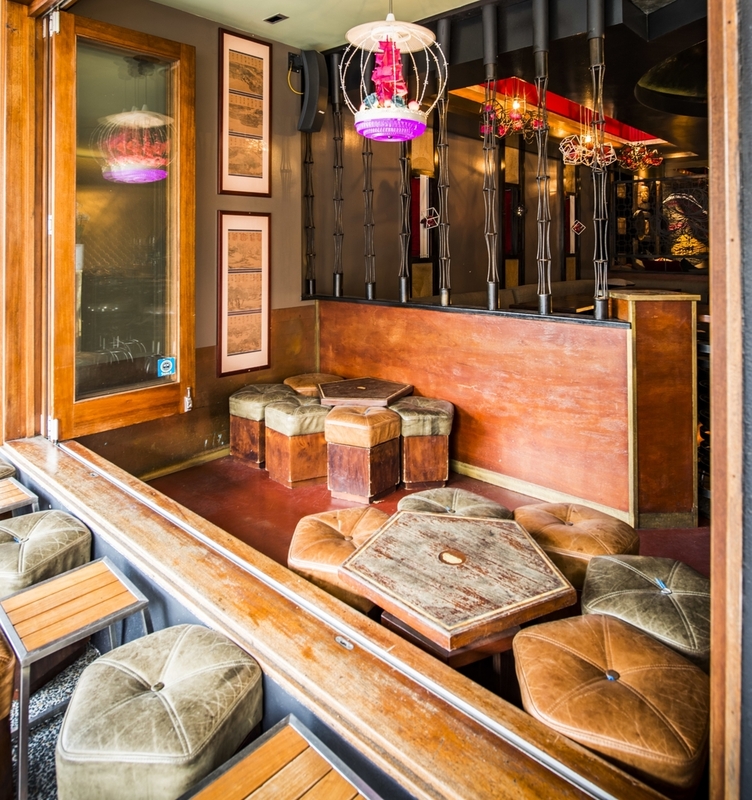 Nestled in the back of the bar, tucked away from prying eyes and peeping toms is the (in)famous Opium Lounge. If you like a little privacy, luscious lounges, pomped up pillows and partying hard: Opium will make your night.Opium will comfortably sit up to 16 people. Tatami serves as a grand dining table, outstanding overlook, modern art gallery and libation temptress all at once. This area can be booked for groups up to 30 people. Lychee Lounge is situated on one of Brisbane's most iconic and unique streets and there's never a dull moment! There's no better spot to get a feel for what Boundary Street is all about than at the window with a masterfully crafted cocktail in hand. Featuring high and low seating, this area can be configured to accommodate a number of different uses and up to 30 people.